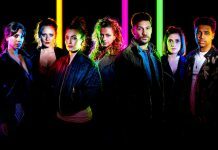 EMMERDALE EPISODES: It’s a big week for Vanity as Charity Dingle is in self destruct mode and goes in search of her father Obadiah for answers. 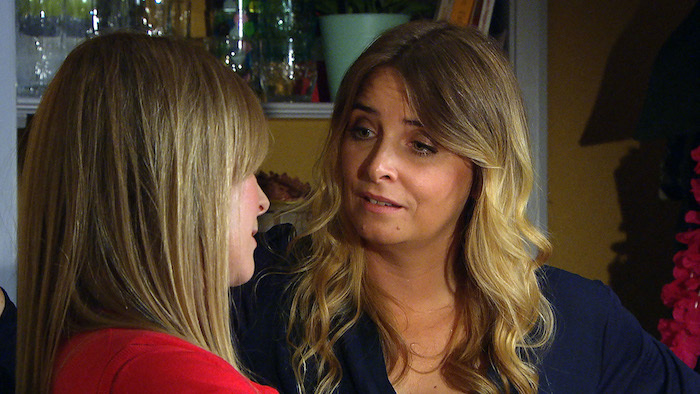 Can girlfriend Vanessa help to smooth the waters between the two of them? And what does the future hold for Vanity when they declare their love. 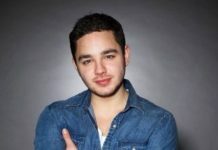 Talking of which, Dr Cavanagh schemes to come between Bernice and Daz, Ellis asks Victoria on a date much to Matty’s annoyance, and Marlon and Jessie are on the rocks. 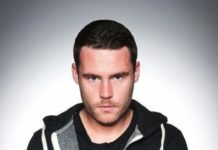 Moira shares a secret and Faith throws Robron a stag do…! Mon 24 Sept 2018: Dr Cavanagh’s interest is piqued to hear of discord between Daz Spencer and Bernice Blackstock. Mon 24 Sept 2018: Dr Cavanagh subtly fishes for information from Diane Sugden. Mon 24 Sept 2018: Will Dr Cavanagh resort to scheming to get closer to Bernice Blackstock? 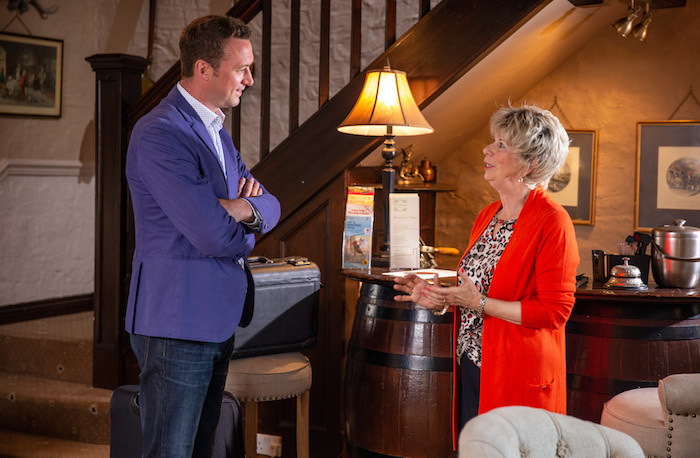 Mon 24 Sept 2018: Diane Sugden gets the wrong idea and flirts with Dr Cavanagh. 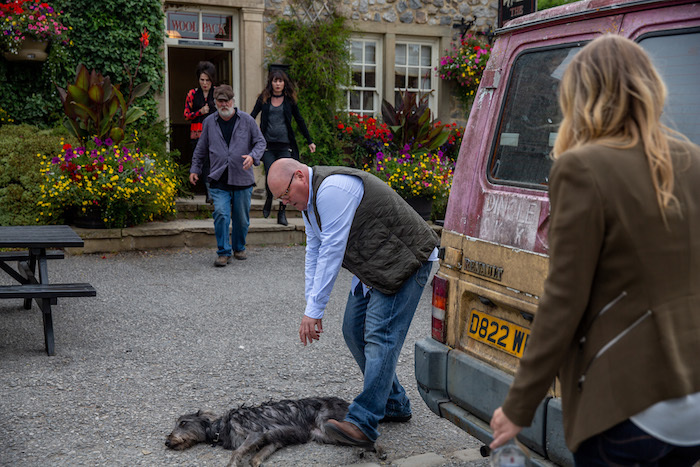 Tues 25 Sept 2018: A drunken Charity Dingle runs over Monty’s paw with the van. Tues 25 Sept 2018: Charity Dingle is in self destruct mode and lashes out at her family. Tues 25 Sept 2018: Overhearing Cain Dingle saying she’ll never change, Charity Dingle is on a mission to get answers. Tues 25 Sept 2018: Daz Spencer rushes out to give Dr Cavanagh Cavanagh his forgotten phone. 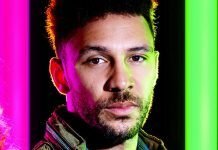 Tues 25 Sept 2018: Daz Spencer notices Bernice Blackstock’s number calling Dr Cavanagh and demands answers. 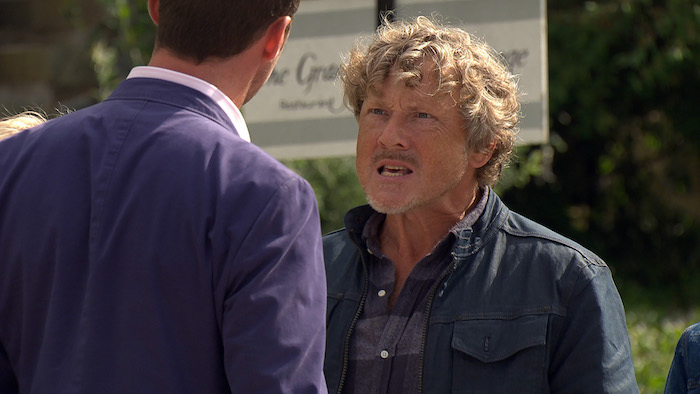 Tues 25 Sept 2018: An angry Daz Spencer confronts Dr Cavanagh but Diane Sugden comes to his rescue. 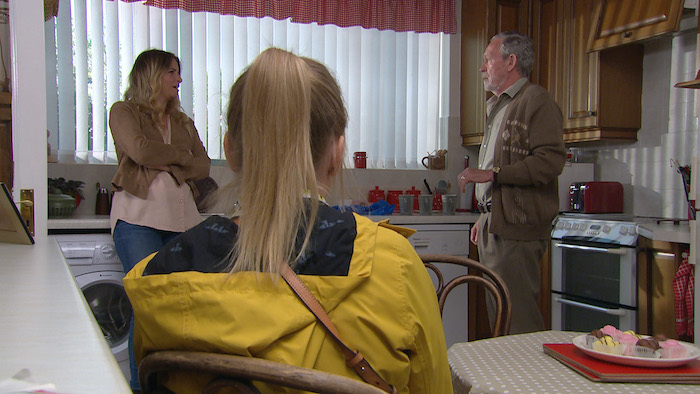 Wed 26 Sept 2018: Charity Dingle visit her dad Obadiah but will the meeting go well? 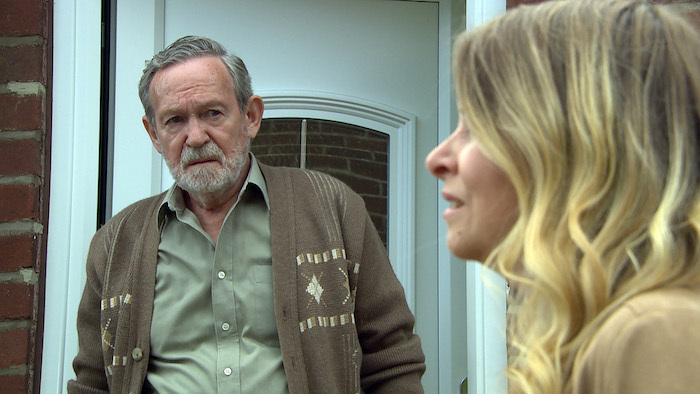 Wed 26 Sept 2018: Will Charity Dingle regret letting Obadiah back into her life? 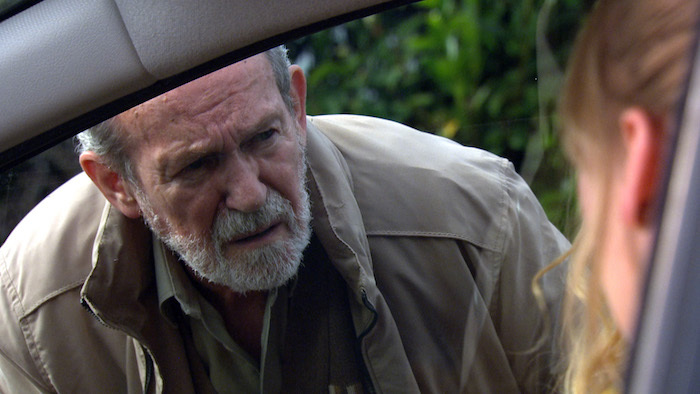 Wed 26 Sept 2018: How will Obadiah react to seeing Charity Dingle after all this time? 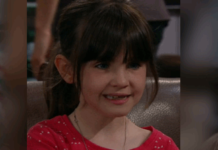 Wed 26 Sept 2018: Obadiah Dingle has his own home truths for daughter Charity. 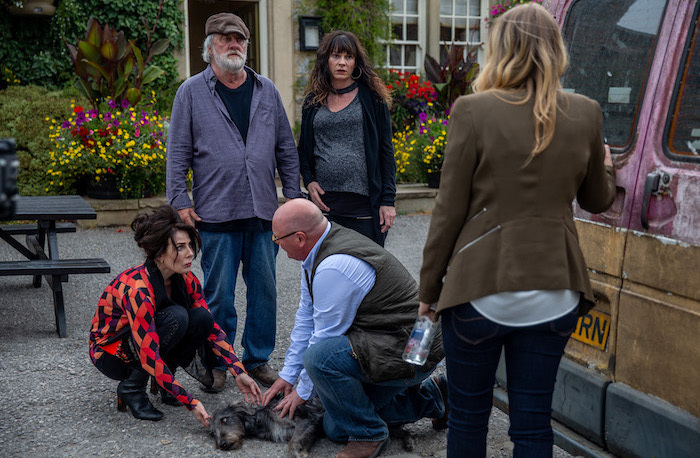 Wed 26 Sept 2018: How will Charity and Obadiah Dingle leave things after their meeting? Wed 26 Sept 2018: Ellis asks Victoria Bartonif they can start again and try another date. 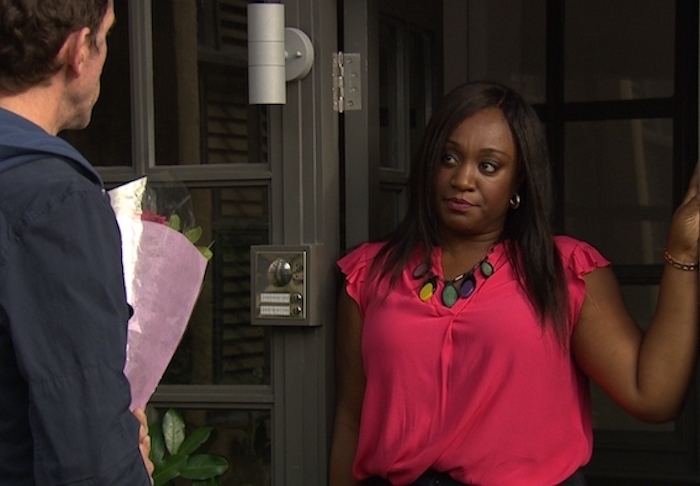 Wed 26 Sept 2018: Matty Barton is surprised when Victoria Barton says she is going on a date with Ellis. Thurs 27 Sept 2018 – 7pm: Marlon Dingle makes an error with Jessie Grant. 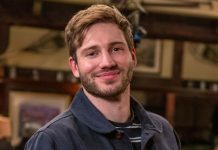 Thurs 27 Sept 2018 – 7pm: Victoria Barton challenges Matty Barton over his feelings. 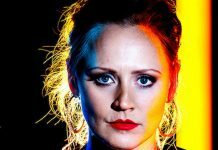 Thurs 27 Sept 2018 – 7pm: After a heated exchange Victoria Barton and Matty Barton share a passionate kiss. Thurs 27 Sept 2018 – 7pm: Have Victoria Barton and Matty Barton tossed a line and where does this leave them? 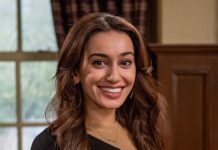 Thurs 27 Sept 2018 – 7pm: How will Moira Dingle react when she walks in on her son kissing his brother’s wife? Thurs 27 Sept 2018 – 7pm: How will Victoria Barton and Matty Barton react when Moira tells them the truth about Emma and the fact it was her not Adam? Thurs 27 Sept 2018 – 8pm: Marlon Dingle is gutted when Jessie tells him she is done and closes the door on him. Thurs 27 Sept 2018 – 8pm: Robert Sugden finds Liv Flaherty struggling to write her wedding speech and offers some words of encouragement. 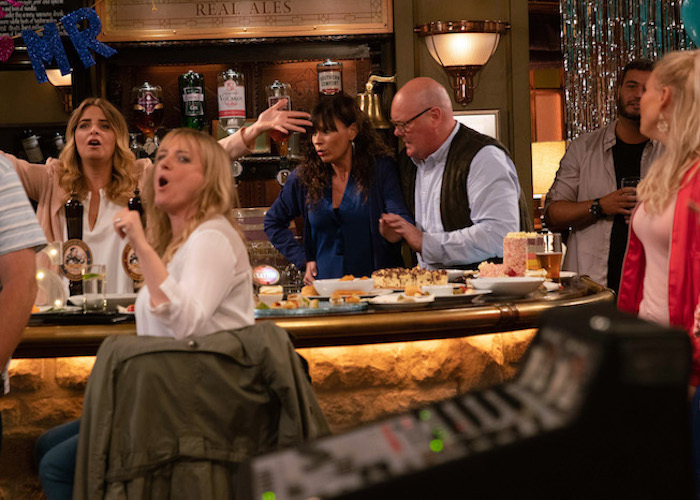 Thurs 27 Sept 2018 – 8pm: Charity Dingle and Vanessa Woodfield finally declare their love for each other. 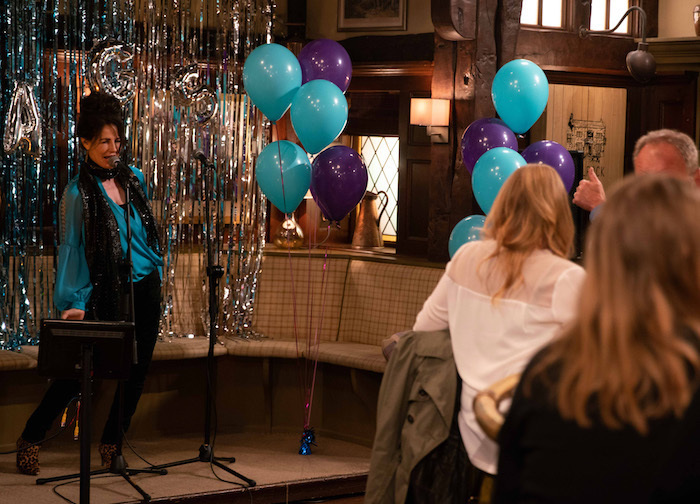 Thurs 27 Sept 2018 – 8pm: What does the future hold for Vanity – Charity Dingle and Vanessa Woodfield? 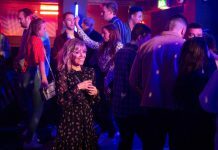 Fri 28 Sept 2018: Its time for Robron’s stag do and who better to get the party started than Faith Dingle! 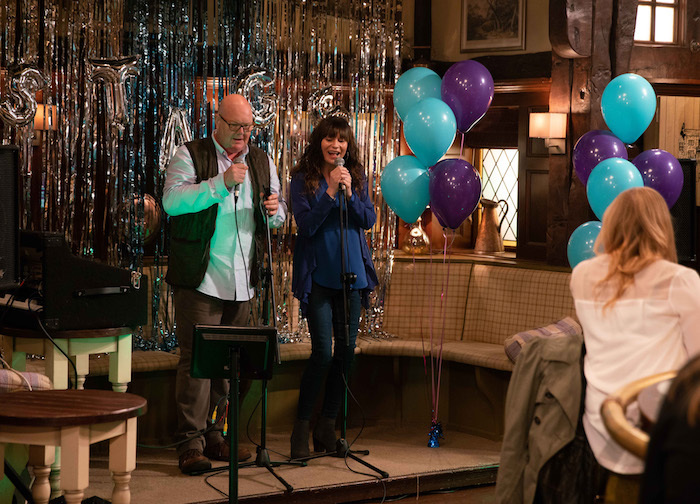 Fri 28 Sept 2018: Faith Dingle takes charge of the karaoke but will Robert Sugden or Aaron Dingle take to the mic? Fri 28 Sept 2018: Paddy Kirk and Chas Dingle decide to let their hair down and enjoy the party. 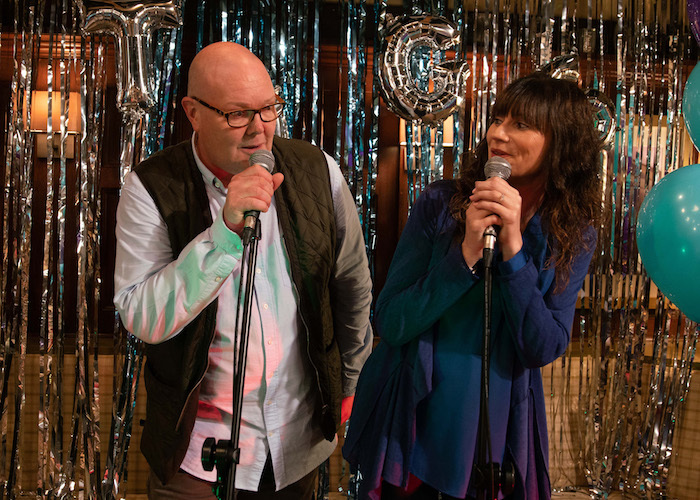 Fri 28 Sept 2018: Are Paddy Kirk and Chas Dingle the perfect duet? 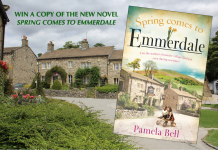 Are they the next Emmerdale chart toppers? 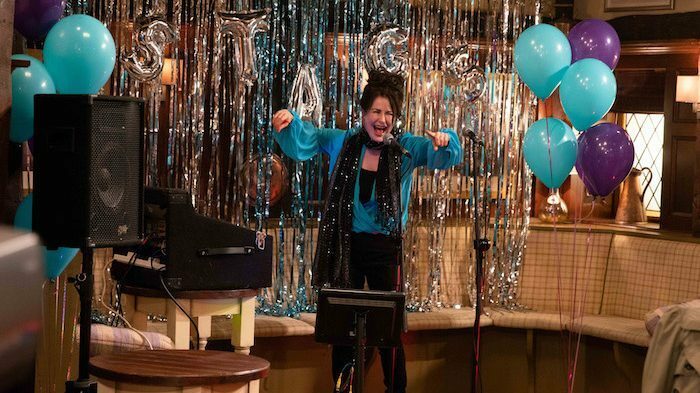 Fri 28 Sept 2018: The party is cut short for Paddy Kirk and Chas Dingle as she goes into labour.